Have you ever thought about designing mobile apps for other businesses to make money? Tons of developers are building solid businesses off of this model, finding a niche and creating client lists for numerous companies that need the help. iBuildApp White Label Program to resell mobile apps for Google, HP, DELL Partner Portal, Microsoft Network, Peoplesoft. 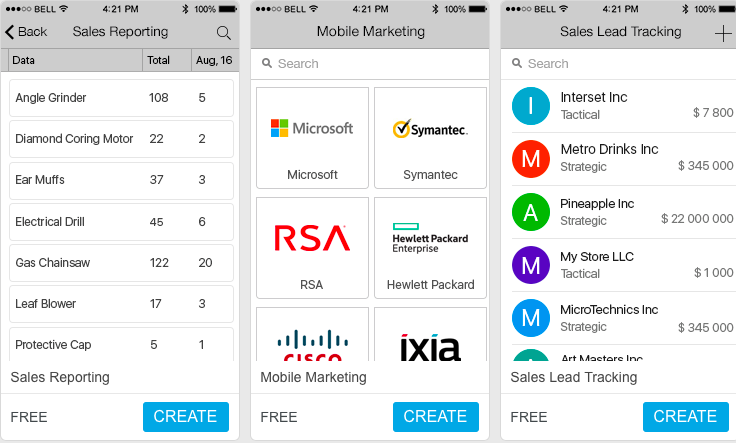 Make and Sell Mobile Apps to your Customers! Your Price! The cool thing is that iBuildApp includes a Partner Program for you to manage a large portfolio of clients and even give these clients an area to modify their own apps and see if anyone is downloading the app. 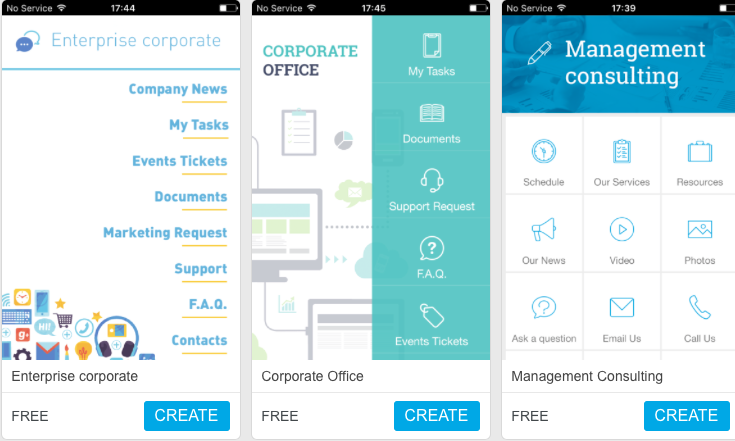 Apps are big business, and with an app builder like iBuildApp you can quickly and easily put together professional mobile apps without knowing much about programming or app design. If you are interested in taking part in this lucrative business, read more to start becoming a reseller for iBuildApp to sell mobile apps similar to HP, DELL Portal, Google Partners, Microsoft Network, Peoplesoft. You can always start a business trying to gather all the clients you can find from different industries, but there is nothing proprietary about selling apps to small businesses. Anyone can get up and do it, meaning that the possibility for competition is huge. So how do you differentiate your app building business? Finding a niche is a must, since you can choose a certain industry and sell clients on how you only focus on that industry. This means you have more expertise and you don’t waste time spreading yourself too thin with other markets. Choose an industry like hair stylists in the Chicago area, or real estate agents in Cleveland. The options are endless, although focusing on a niche local market is also another way to dominate an area and prevent people from infringing on your territory. You can also go to HP Partner First Portal to reach 145,000 distributors, resellers, and alliances around the world. HP Partner Portal is the best IT reseller channel program. Hire a certified Google Partners expert to manage your AdWords account to improve online marketing presence and to grow your business. Google Partners Portal has over 5,000 marketing experts to search for your online business. Find the resources on Microsoft partner network portal to build and market applications. This is good for ISV. Get MARKETING TIPS FROM MICROSOFT SOLUTION PROVIDERS. Visit the iBuildApp App Reseller Program page to learn about the benefits and features included for your app-building business. What are some things you can do with the Online Partner portal Program from iBuildApp? Like stated above, the iBuildApp App Reseller Program provides a backend interface just for your clients. This means that when the time is right you can give them the login details to manage their own apps. Sure, you will stick around for guidance and maintenance, but the idea is for them to run the day-to-day for the app. What can your clients achieve on this interface? Another interesting part of the app reseller program is the opportunities for further monetization. Sometimes clients don’t have any interest in managing their own app into the future. This gives you a chance to sell your services for app management and updates. Tell clients you will send out push notifications and keep news feeds and video lists updated for a fee. Enterprises need Oracle PeopleSoft partners to 1) help them to innovate through upgrades, 2) increase value through adoption of enterprise PeopleSoft partner solutions, and 3) integrate the existing Oracle apps, Siebel solutions. With its thousands partners, PeopleSoft continues to be the best partners for ISV and VAR. Let us know in the comments section if you have any questions about how to become a mobile app reseller. Partner with iBuildApp to make more money if you are a current app reseller, and tell us about any lessons you have learned throughout the process.